shampoo and condition your hair with Zizyphus Spina Christi. The zizyphus spina christi tree is one of forty zizyphus species, also known as nabq and sidr (or sedr). It grows in semi-arid and arid tropical zones, and is Indigenous to Saudi Arabia and Iraq, particularly the Basra area. Zizyphus leaves, powdered and mixed with water, have kept people's hair and skin clean and healthy for over a thousand years. The leaves of zizyphus spina christi contain saponin glycosides, christinin A, B, C and D. Zizyphus spina christi leaves were used as a shampoo and body wash in the Middle East, the Arabian Peninsula and Persia. The saponins cleaned skin and hair, and anti-microbials had inhibitory and bactericidal activity against Gram-positive microorganisms on skin and scalp. 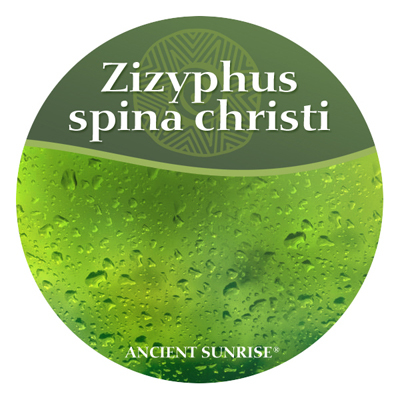 As a shampoo and body wash, zizyphus spina christi protects hair and skin from dryness by depositing a thin moisture retentive layer on the hair and skin: this helps skin and hair not dry out in dry weather and intense sunlight. If you have dry, fragile, or thin and aging skin, washing with zizyphus will clean your skin and leave it silky and smooth. Knees and elbows will be less flaky and gray. I put zizyphus paste on a washcloth and massage away the dirt and dead skin cells, then rinse. People with severe allergic reactions to latex may also be allergic to zizyphus spina christi. Patch test before using! Chemical and Biological Investigations on Zizyphus spina-christi L. Phytotherapy Research (7) 15, 593-597 (2001) Shahat, A. A., Pieters, L., Apers, S., Nazeif, N. M., Abdel-Azim, N. S., Berghe, D. V., Vlietinck, A. J. In the late 19th and early 20th centuries, western popular culture was fascinated with "exotic" ancient Egypt and Persia; passionate imagery of pharaohs, ancient queens, Persian luxuries, and Ottoman harems. 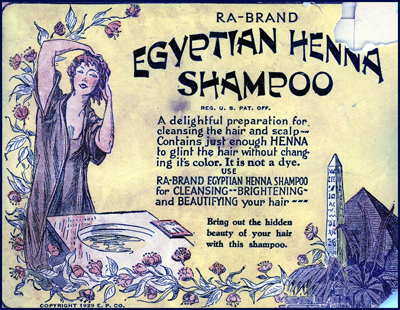 Enthusiasm for 'exotic' henna was part of the imported material culture in the European fascination with their colonies' cultures; in this context, Egyptian Products Co. of Newark, New Jersey, marketed R-Brand Egyptian Henna Shampoo in 1929. As best as I can determine from the powder remaining in the packet, the shampoo was largely powdered zizyphus spina christi leaves with a small amount of henna. 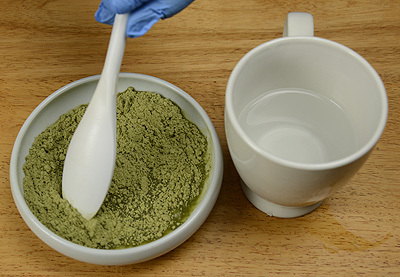 The instructions were to mix the leaf powder with hot water, work into a paste, and shampoo the hair with the paste. Dubarry et Cie marketed zizyphus Spina Christi leaves as an exotic fashionable Persian import shampoo powder in the early 20th century. "The Wonderful New Shampoo Henna Glinta" was, of course, NOT henna. It was zizyphus spina christi. 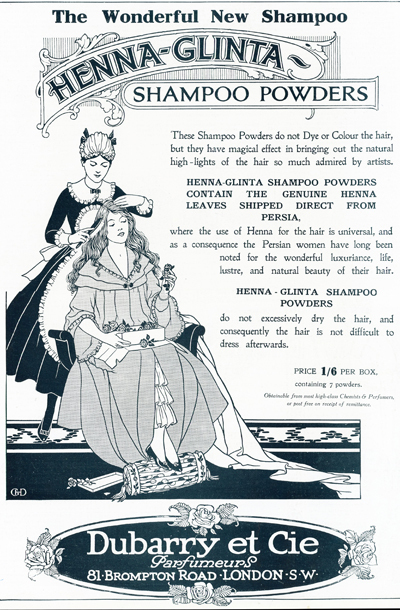 As a green plant powder, 'Dubarry et Cie' figured westerners would not know the difference, particularly as indigo and cassia were also marketed as 'henna'; westerners were enamored with the exotic "new" henna at the beginning of the twentieth century, so it seemed a good marketing strategy. 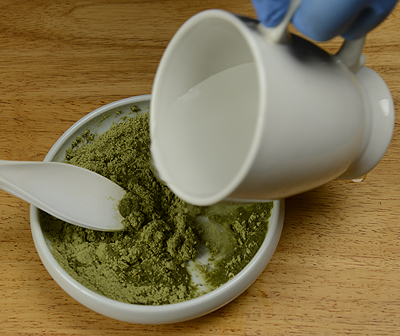 There advertising claims were fairly accurate, and consistent with results typical of Zizyphus Spina Christi leaves; the only inaccuracy is the claim that the powder was genuine henna leaves. 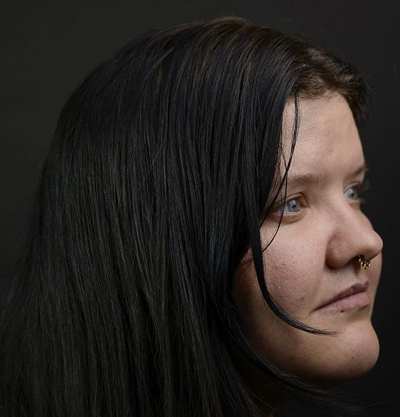 "Zizyphus Spina Christi does not dye or color the hair; it does bring out natural highlights," as advertised. "Zizyphus Spina Christi shampoo did deliver "luxuriance, life, luster, and natural beauty" to hair just as it always had done. "Zizyphus Spina Christi does not dry the hair, and leaves it easy to style." These claims are exactly what the stylists and researchers at mehandi.com found when they home tested Ancient Sunrise® Zizyphus Spina Christi. The powder mixed easily into paste, was a gentle and thorough shampoo, and left the hair feeling thicker, looking glossier, and was easier to style. You can use zizyphus spina christi for weekly shampooing. Zizyphus shampoo is indispensable for emergency preventative and repair work before and after a waterfront vacation. 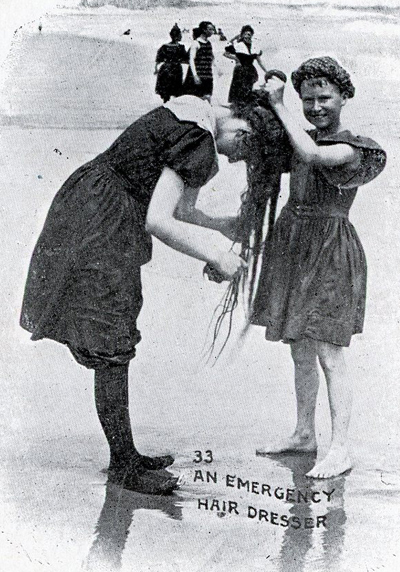 Swimming can damage your hair. Bright sunlight, chemicals in municipal swimming pools, salt and sand at the beach can wreak havoc on hair. Zizyphus spina christ can both prevent and repair swimming damage. Above is healthy, undamaged hair. Here is what zizyphus spina christi does: it coats hair with a fine layer of plant wax from the zizyphus leaves. This thin waxy layer is similar to the waxy surface of many desert plants. These plant waxes protect the leaf from losing moisture and dying in the arid desert; You can even feel it on a freshly picked apple. This layer which protects zizyphus spina christi in a harsh desert climate will protect your hair from drying out and breaking. It also makes your hair more glossy, and easier to style. The plant wax has a molecular similarity to latex, and some people who are allergic to latex will also be sensitized to zizyphus spina christi. If you are allergic to latex, patch test first! This is Maria's hair before shampooing with Zizyphus Spina Christi: it has several days worth of perspiration, sebum, and hair care products in it which have left her hair looking dull and stringy. 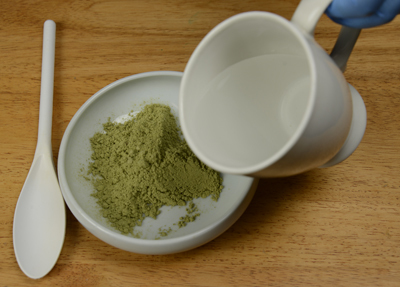 Add warm or hot water to a heaping tablespoon or two of zizyphus powder. You can use the extra paste as a body wash.
Do not expect zizyphus to have heaps of suds and bubbles. 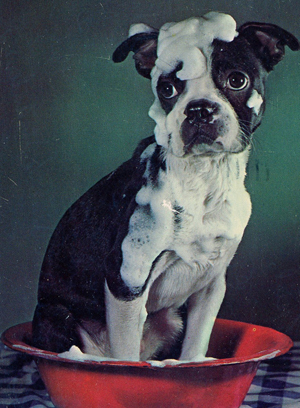 Detergent suds are only one way to get hair clean: the chemical cosmetic industry would like for you to believe that soap bubbles are crucial to cleanliness, but that is just marketing and product photography. Stir water in gradually, and stir the paste smooth. Let the paste sit for five minutes or so. This is ready to start squishing into your hair. 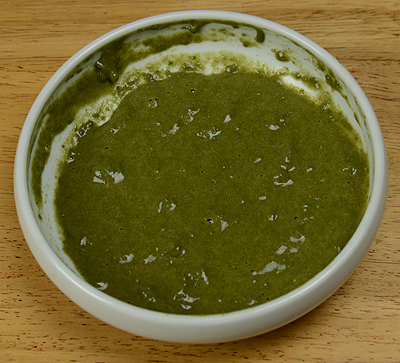 The saponins in zizyphus paste will foam a bit, but are not going to get bubbly and sudsy like the cosmetic advertising agencies want you to believe is necessary, but they are going to get you clean. Do not expect bountiful snowy bubbles. 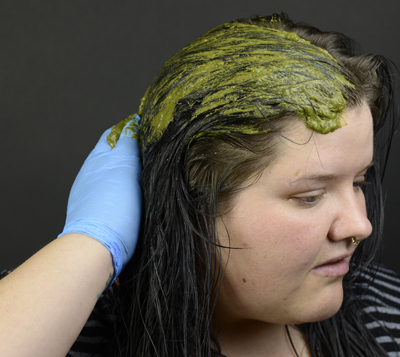 Start by squishing the ziziphus spina christi paste onto your scalp and into the roots of your hair. Massage your scalp with the paste, and stroke it through your hair. Massage the zizyphus paste into your scalp, enough to gently remove sebum, dead skin cells, perspiration, bacteria, and built-up styling products. Stroke the paste through your hair. 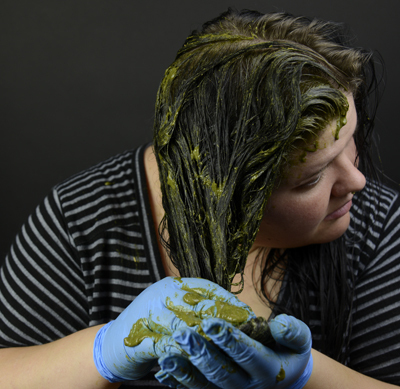 When you have pulled the paste through your hair, you can use extra as a body wash. If you tend to have dry, ashy knees and elbows, zizyphus will protect your skin from drying and flaking. After shampooing with zizyphus Spina Christi, all of the perspiration, and products have been cleaned out of Maria's hair. 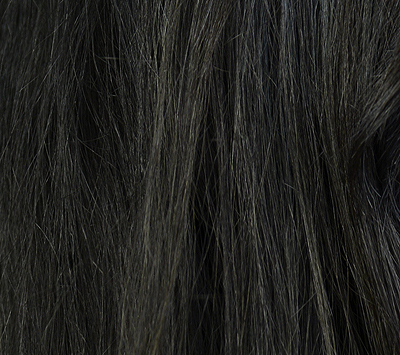 The zizyphus has made her hair feel more full, more glossy, and is easier to style. Click HERE to purchase Zizyphus Spina Christi from http://www.mehandi.com. If you wash your hair once a week, 100g should last you for a month or more. 500g should last you for a year.